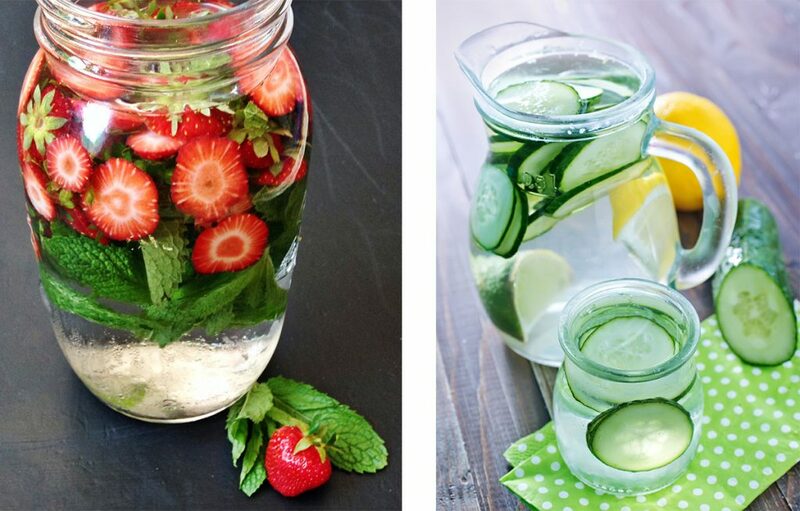 If you haven’t dabbled in the simple joy of infusing your H2O, we highly recommend it! The possibilities are endless. While most infused waters are high in Instagram value and taste, do they actually provide any additional nutritional value? A few wedges or slices of your favorite fruit may look beautiful and taste pleasant but will provide only traces of nutrition. However, don’t let this dishearten you, the purpose of infusing water is to create a desire to consume more water throughout the day. Its’ still a big win for your hydration goals! Combine all ingredients in a large pitcher and lightly chill. Transfer into a vessel of your choosing and enjoy throughout the day. Pro Tip – Squeeze each lime wedge to infuse more of the juice into the water. Instead of tossing out the sliced cucumber – eat it! You have now maximized the functionality of your infused water. 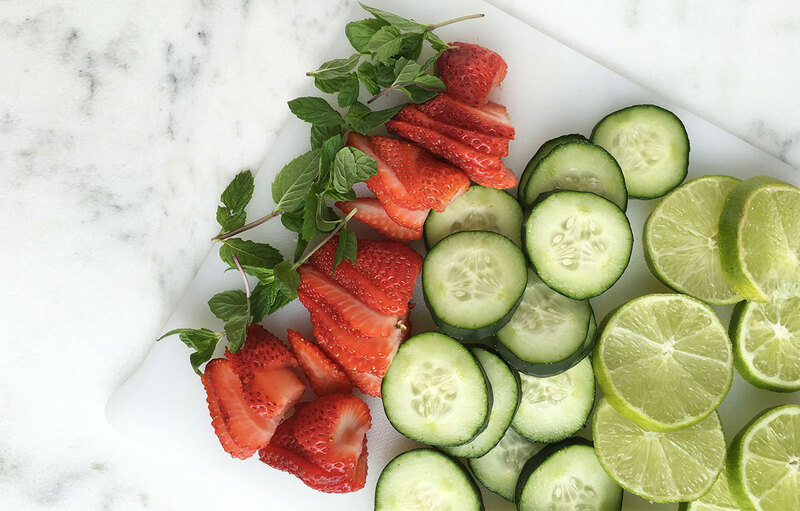 Cut the strawberries into slices or into quarters and give the mint leaves a quick smack in between the palms of your hands to release the glorious minty aromas and flavor. Combine all ingredients in a large pitcher and chill. Enjoy this throughout the day! Pro Tip – Don’t forget to eat those strawberries as you go. We are maximizing the functionality of your infusions after all!